The Week 1 Buses have left Camp! The Northern and Southern CA buses left camp today at 12:30pm. 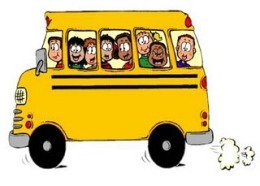 Buses should arrive to St. Vartan and St. Peter around 5:00pm. We had such a great time with all of the Week 1 campers & staff and look forward to seeing you all in 2013!!! Older PostNorthern and Southern CA Buses Have Arrived!